I’ve been working on reviewing an issue of Blue Book magazine, and as part of the review I’ve been digging up information on the authors and illustrators of that issue. The previous entry about Leland Jamieson was a result of that research, as is this article. Hope you enjoy it. Fulton T. Grant was an author who appeared almost exclusively in Blue Book magazine, which is where his writing career began in 1936. I enjoyed many of his stories in Blue Book about a reporter on the Paris News Desk of a US newspaper. He made regular appearances from 1936 to 1941 (an average of 9 stories a year), and his writing career stopped in 1941 when he joined the US army. There were a couple of short stories from him in 1943 and 1946, and Fantastic reprinted one of his stories from Blue Book in 1964. But that was it before his death in 1949. Fulton Thatcher Grant was born on July 4, 1897 at Randolph Center, Vermont. His parents were Louis F. Grant, a Canadian citizen, who stated his profession as an artist on his marriage record and Julia Alyce Stone. They had married in September 1896, and Fulton was the first child. 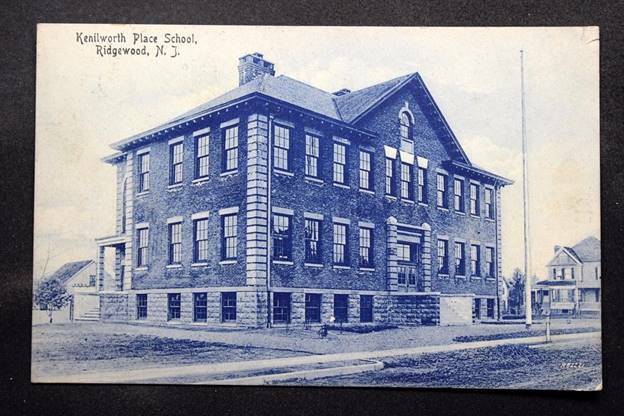 He graduated from high school in 1913 from the Kenilworth place school in Ridgewood, New Jersey. His parents must have been well off, because they were able to send him to Holderness prep school, and then to Hamilton College. His education was interrupted by World War 1; he joined the US Marine Corps as an officer in June 1918, 5 months before the war ended. He went through training in Parris Island, and by the time his training completed in January 1919, the war had ended. He was posted to Quantico, where he oversaw the construction of homes for the merchant marine. He was discharged in July 1919, ending his career as a 2nd lieutenant. After the world war, he completed his education and became a news reporter, working for the Chicago Tribune and the New York Herald Tribune as their Paris correspondent. The International Herald Tribune is the descendant of the New York Herald Tribune. He must have started writing early in his career, because in 1924, he is listed in a news article as an author who became a creditor of a magazine, Police Stories, that started in 1925 and became defunct in 1926. No record of either the magazine or the story can be found in the Fictionmags index. Somewhere along the line, he became a professor of English at the Universite de Clermont-Ferrand, a top French university. After this stay in Europe, he came back to the States sometime before 1930, when he shows up in the census as residing along with his parents in Ridgewood, New Jersey. On 12 December, 1935, he married Kathryn B. Humphries in Manhattan, New York. Shortly afterwards, his first story in Blue Book appeared in January 1936 issue. Blue Book, unlike Adventure, did not regularly feature a letters from readers column and also lacked editorial notes, and so it is difficult to gauge the reception to his stories from that. However, we can see that he continued to appear regularly, so the readers must have liked him. At around 5000 words for Cyrano, at Blue Book’s rate of 2 cents a word back then, he must have been earning around $100 a month for his stories. Doesn’t sound like much, but it’s about $1700 in 2016. A very reasonable supplement to his income, and he continued to write stories till his career as an author was interrupted by the second World War. 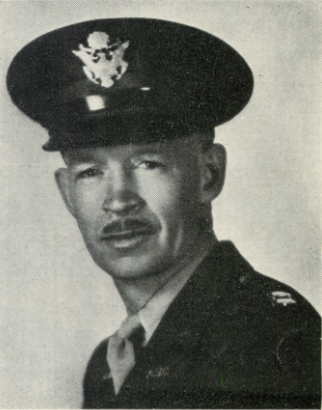 He enlisted in 1942, joining the ASC (Army Specialist Corps) as Captain on October 15, 1942. He was commissioned as a Captain AUS (Intelligence) on December 5, 1943. He served in Casablanca, Salerno, Naples and Leghorn. In Naples, he salvaged damaged machine guns and rifles discarded by the Mussolini’s army, and fixed them up for the Italian army in a giant cave. He returned to America in February 1944 for hospitalization in Kennedy General Hospital, Memphis, until December 1945 and retired in February, 1946. The Man who went to Rome, his last story in Blue Book, was based on his wartime experiences in the catacombs of Naples. It was published in July 1946. Fulton T. Grant died on January 14, 1949 at the Veterans Administration hospital in Hartford, Connecticut. Blue Book did begin a letters column in 1941, when it blew up to bedsheet size, but as you note this was after Grant had written the majority of his work. The letters column began a little earlier, April 1941 at least, slightly predating the transition to bedsheet size. It wasn't very sizable - no more than 4-5 letters printed in issue, and later issues had 2-3 letters usually, less than a page per issue. No editorial responses to the letters at all. Very different from the other big general fiction pulps - Adventure, Short Stories, Argosy and even The Popular Magazine. When i was looking up this in my collection, I happened to find a letter in the May, 1941 issue that mentions Fulton Grant. Thank you, as I wouldn't have looked it up if you hadn't made the comment about the date of the letters column. Do I read book-length novels? Would I like more novelettes? Well, I do read some of the long novels, but not always. I think two or three novelettes could replace it. The reason I read a magazine is because I’m in the mood to read short stories. Whenever I want to read something long, I read a book. I think war material is the best thing you have. It sort of gives the magazine an up-to-dateness, if you get what I mean. Eighteenth Century stories are also an interesting feature. (“The Bishop’s Pawn" in the September issue was a peach). My best authors are: Robert Mill with his Tiny David stories, Fulton Grant with his weird tales about reporters always getting into strange adventures; Bedford-Jones with his series about everything in particular from “Ships and Men" to “The World was Their Stage;" William Makin with his Red Wolf of Arabia stories, and Gordon Keyne with his wonderful Eighteenth Century novels like “Gunpowder Gold" and his “Strange Escapes" series.